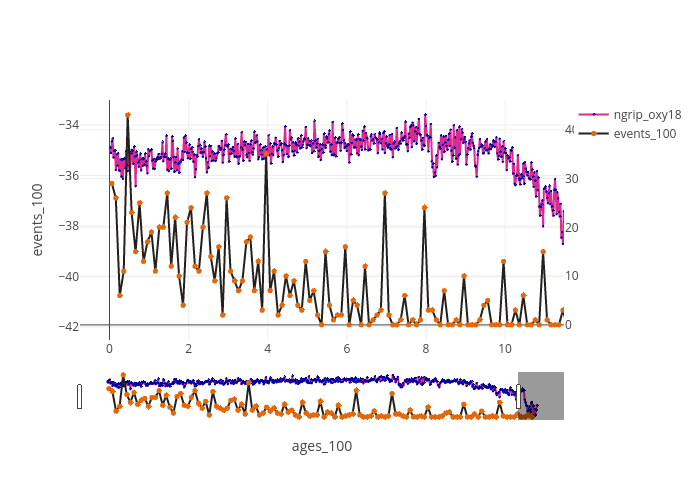 Brishtiteveja's interactive graph and data of "events_100 vs ages_100" is a line chart, showing ngrip_oxy18 vs events_100; with ages_100 in the x-axis and events_100 in the y-axis.. The x-axis shows values from -0.7450971291043489 to 11.488219013237062. The y-axis shows values from -42.45264553686934 to -33.07735446313066.